Fatherhood: 100 Year Old Organisation, or F1 team? If I were to tell you that my son owns a piece of clothing associated with a world-famous organisation which contains the branding of half a dozen major organisations, I suspect you’d think he was a fan of Formula 1 racing. Failing that, maybe some major American sport, where sponsorships are more important than the sport itself. If I told you that the brands in question included Tesco, Hobbycraft, Cotswold Outdoor and Pets at Home, you might be left scratching your head. Unless your child is also a fan of said organisation, it would probably be a while before your suggestions got to “The Scouting Association” – but that’s exactly the organisation I’m referring to. Robert has been a member of our local Cub pack (and before that, the Beavers) for a few years now. I think I’ve written about it once or twice, but to their credit his time there has been positive and fulfilling. But something I noticed recently has put my nose slightly out of joint – and based on the reactions of the friends who I discussed it with, it’s not very widely known. 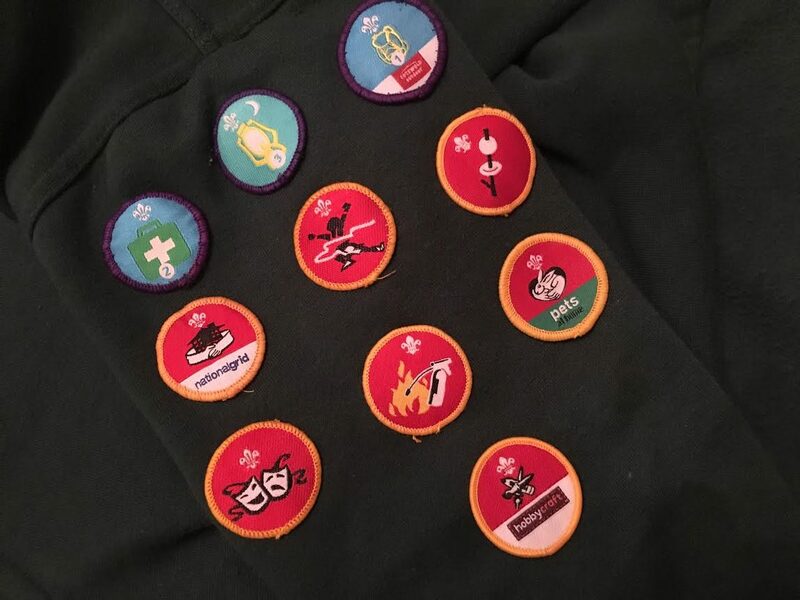 Namely, a lot of the achievement badges that the Cubs and Scouts are famous for – and which their members are obliged to sew into their uniforms – are now sponsored by mostly-relevant organisations. 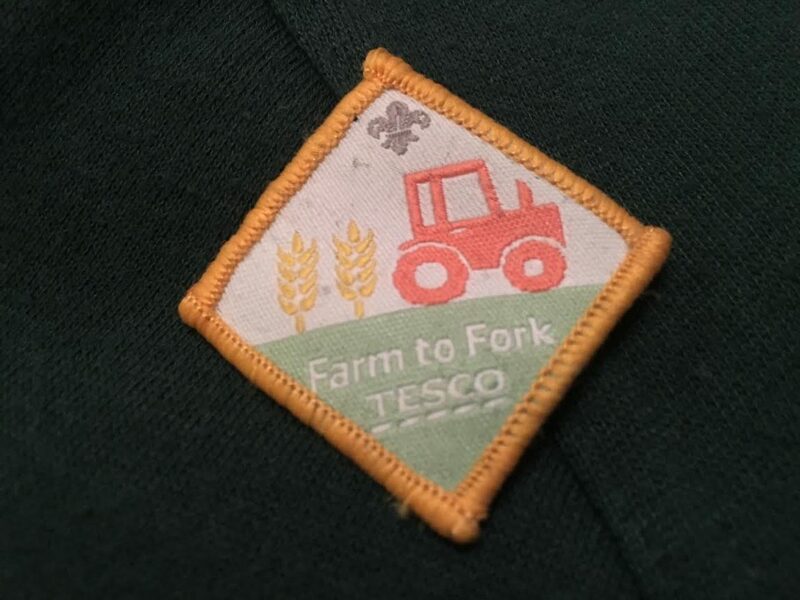 The latest badge we received is the Crafting badge, which is sponsored by Hobby Craft. 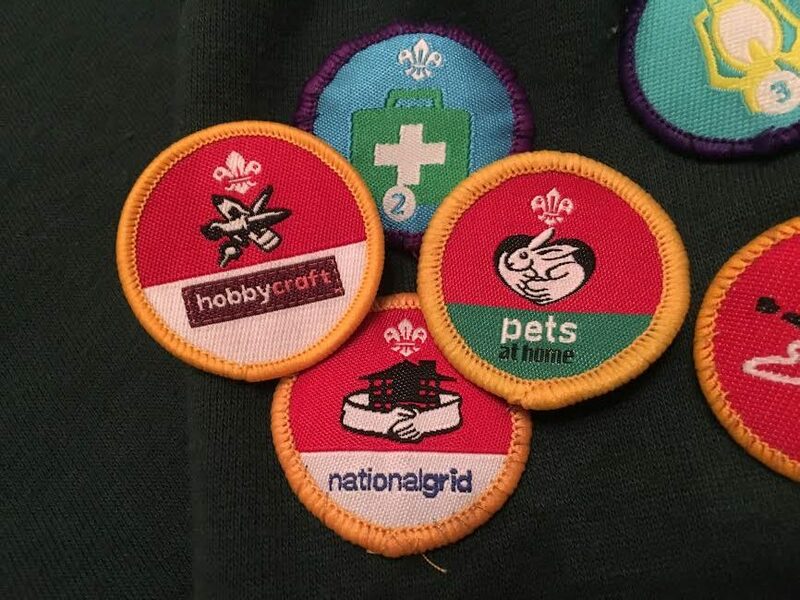 But he also has badges sponsored by Tesco (“Farm to Fork”), Cotswold Outdoor (“Camping”, obviously), Pets at Home (“Animal Care”) and the National Grid (no idea what that one is for!). Now before you launch a fierce defence of the Scout movement, don’t panic – I’m not upset at them. For a mere £3 a week they do a huge amount to occupy my son, teaching him many valuable lessons along the way. Any help they can get – whether it’s donated materials, business visits or other things – is fine by me. My problem is with the organisations themselves, and their seeming willingness to slap their branding all over the uniforms of a 100+ year old organisation. And not even in a particularly subtle way either – as you can see from my photos, these badges are quite blatantly sponsored, taking up half of the badge in most cases. I get that a business needs to see returns from an investment – but couldn’t they chalk this up to some sort of CSR commitment, or maybe a charitable contribution? The Scouts IS a registered charity after all. If that isn’t attractive enough, I wouldn’t even mind some parent-targeted branding being shoved in my face – a newsletter sponsorship, something on the groups Facebook page, maybe even some posters in the Scout hut. But does it really need to be on their flipping uniform?! Maybe I’m being naive – or maybe this isn’t a national thing, and I should be targeting my ire locally. If you’ve got a Cub of Scout in your midsts, let me know what goes on in your area? I am not sure I am comfortable with the idea of more advertising being directed at kids and in this case I dont think it is really necessary. Like you say, let the parents know which companies have kindly sponsored the scouting movement, even allow the companies to let the public know through their own or joint marketing that they sponsor this. Sticking it on badges seems a little over the top and tasteless.